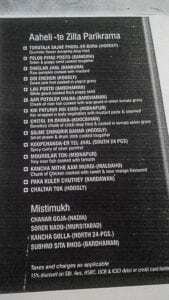 Frankly, I am not someone who goes ga-ga over Bengali food in fine dining restaurants. No, it’s not the problem of those outlets, let me be very clear. It’s the problem of my typical middle-class mentality. Whenever, I see a fish dish being priced at a bomb, my bong mind starts the calculation- this fish would’ve cost me such amount and my mom / my son’s mom would’ve cooked it in that fashion and blah blah blah ……. The bottom line is though I’ve been a regular to those dingy pice hotels in the city. Peerless Inn itself is a landmark property in the central Kolkata, located just next to the iconic Oberoi Grand and the maidan, this tall structure stands tall. The entrance is on the adjacent lane (though one-way but the hotel-bound vehicles can go). Aaheli is situated on the first floor. Somehow, this restaurant is always full and that’s a sign of good business. 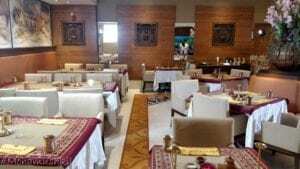 We found our table at Oceanic and the management made sure that the chef’s special thali at aheli is served to us there. 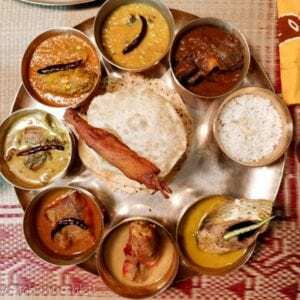 Now, this was a special food festival conceptualized by the management keeping in mind the diversity of food from different districts in Bengal. It included different signature dishes from districts and served in the a la carte manner. We were served the specially curated thali with the festive items (not available in the menu) though. 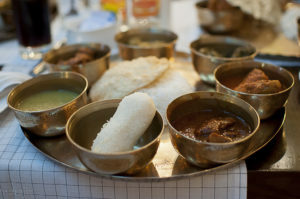 In Aaheli, the food is served in the traditional kansa utensils, which are still used in bengal households and it somehow gives the feel of a true-blue bong feel. As in any fine-dining joint, the food is damn good and the somewhat laid-back service was just what is needed to take a break from this hustle and bustle of our daily life. Regarding the food, the items was cooked keeping in mind the home-styled cooking and was less on the spice quotient. Out of all that was served, I especially liked the Doi Enchor and mangsher Jhol ….. 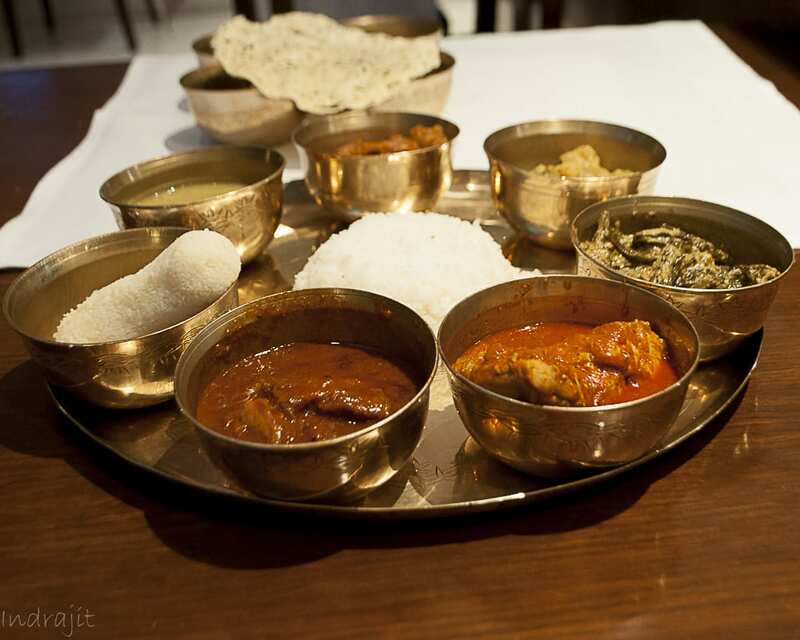 The food was good and it felt great to visit this oldest fine dining bengali restaurant in city. This festival is going on till 30th March 2017 at Aheli, Peerless Inn Kolkata and Axis Mall, New Town. The timings are 12-330 (for lunch) and 7-11 (over dinner). your mother and your son’s mother will cook only, not you? are u handicap or abnormal?